This is a website I made to help educate and show some pictures about a beautiful place on Vancouver Island. 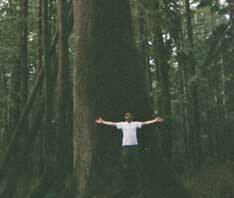 During Spring Break 2004, myself and three friends, Kevin, Tom, and John took off to this desolate and remote tip of Vancouver Island to explore, relax and challenge ourselves. This website is all about our trip to Cape Scott. Cape Scott provincial park is located on the very northwestern tip of Vancouver Island in British Columbia, Canada. It is one of the most remote and untouched places on Vancouver Island and has been this way for many years. Due to the extreme weather and also challenging hiking, there are few visitors to this park. This should not discourage anyone from visiting though as it is one of the most beautiful places on the whole island. Feel free to browse through this site as it has pictures, links, history and a map for you to learn more about this great park. To read all about our trip, visit the Intro page!